In the 1980s, a young guitarist called Euronymous forms a black metal band called Mayhem, the first of the genre in their country of Norway, with Necrobutcher, Manheim and Maniac on bass, drums and vocals. Quickly during the band's uprising, Maniac and Manheim depart and are soon replaced by new drummer Hellhammer and a new vocalist from Sweden called Dead, who exhibits self-destructive behavior, which he portrays during their live shows by cutting himself and bleeding on the audience, and throwing pig heads at the posers. 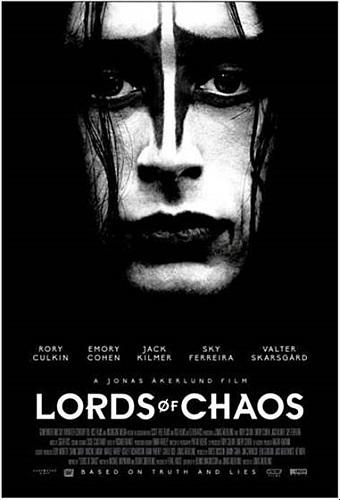 At a show filmed by their friend Metalion, the band meets a fan named Varg Vikernes, whom Euronymous initially looks down on.